For Piotr Marciniak, the 2018 beach volleyball season had plenty of highlights culminating with a championship at the Dig the Beach Association of Volleyball Professionals Gold Championship. Marciniak and his Canadian partner Chaim Schalk defeated Dave Palm and Mark Burik 21-16, 21-18 to take the Men’s Open Championship at Fort Lauderdale Beach. 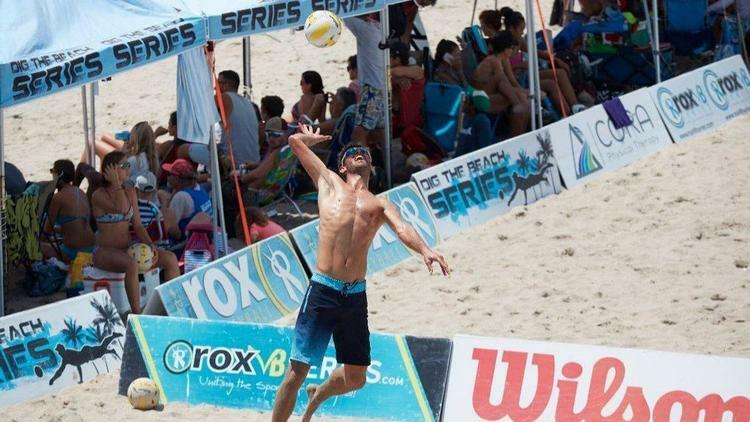 Marciniak, who had a couple of top-five finishes with another teammate, Eric Zaun, on the AVP tour this summer, defeated USA Olympians Phil Dalhausser and Nick Lucena in the Chicago AVP tournament and took the top prize in the Dig the Beach summer series conclusion. The 6-foot-6-inch native of Poland and the 6-foot-5-inch Chalk make a formidable pair. It was 10 years ago that the Pompano Beach resident was part of the Polish national team before making the decision to pursue his MBA degree in Florida in 2012. He is currently an instructor with the Boca Raton VB Beach program that is affiliated with Florida Atlantic University. Dig the Beach partnered up with the AVP and offered a $20,000 cash purse to be shared by the men and women open division competitors. A total of 42 men’s and 26 women’s teams paired up on the weekend event in a battle of skills and attrition. In the Women’s Open Division championship Pricilla Lima and 6-foot-4-inch partner Falyn Fonoimoana defeated Katie Hogan and Milena Matic in straight sets. Megan Rice and Sara Putt shared the third-place cash purse with Bree Scarbrough and Lane Carico. In the Men’s Open battle for third place, Brad Connors and Tyler Lesneski finished in a tie with Adam Roberts and Shane Donohue. With over 550 players competing in various skill divisions plus the junior and coed ranks, the weekend event proved to be a big hit not just for the professionals who traveled from across the nation, but also the local volleyball enthusiasts. Tournament director Diogo Sousa said he was pleased to wrap up the summer series on such a positive note. The Deerfield Beach resident has been the director of Dig the Beach since 2009.